I've said before that I get through Lush lip scrubs like there is no tomorrow so a new one always comes in handy. 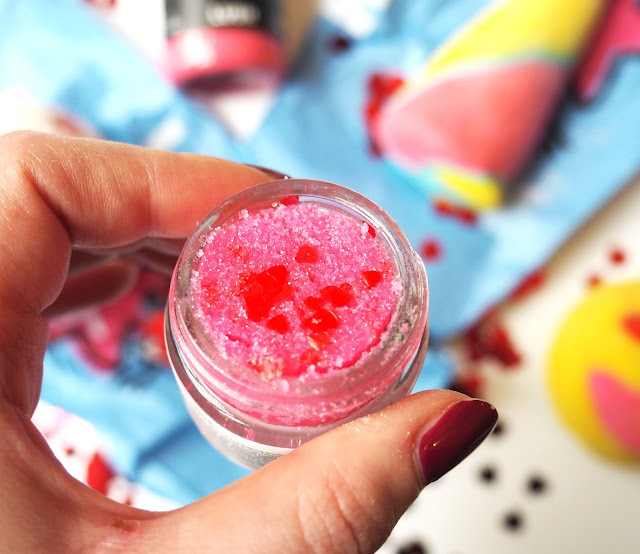 The Kiss Lip Scrub is a little snazzier (yes, I said snazzier) than the regular scrubs because it has teeny tiny little hearts in it, so damn cute. I just had to get a Unicorn Horn because... well just look at how pretty it is and its from a Unicorn, der! 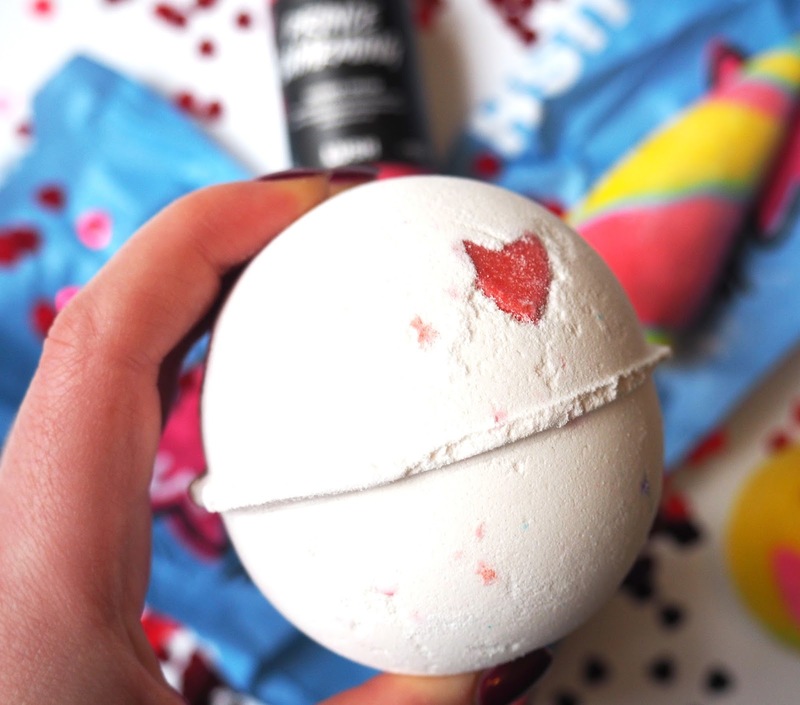 It has a floral scent with lavender and I absolutely love bubble bars as they last a good three or four baths. When my skin needs a little TLC I love a bath bomb that has cocoa butter in so Lover Lamp was the perfect choice. I haven't seen this one before so I think it may be new for this V day? The lady in the shop told me she loves this one as it has loads of little hearts inside, so this will be saved for a proper pamper evening. 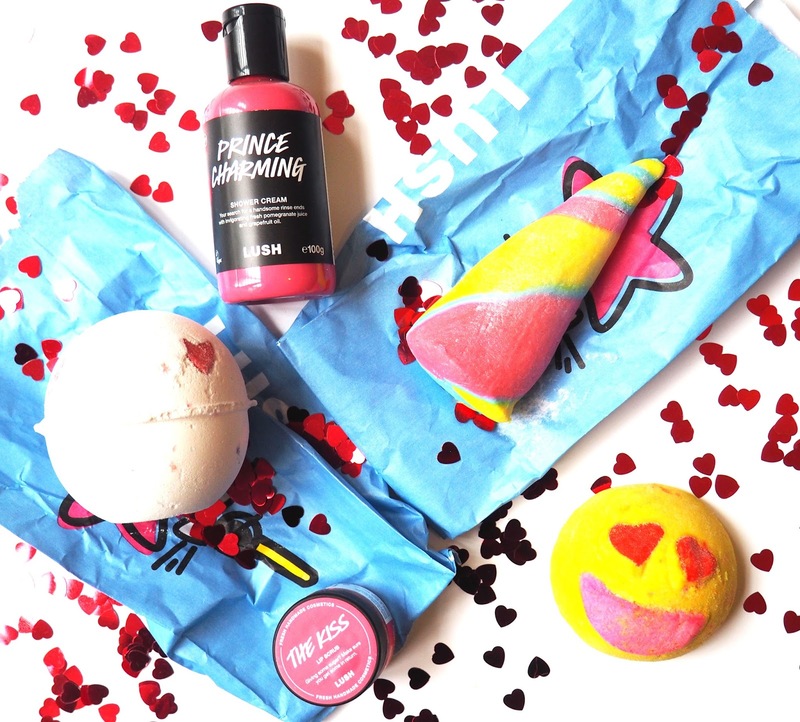 Lovestruck is the heart eye emoji's twinnie so this went straight into the basket (technically I don't think this is from the Valentine's range but excuse that!). 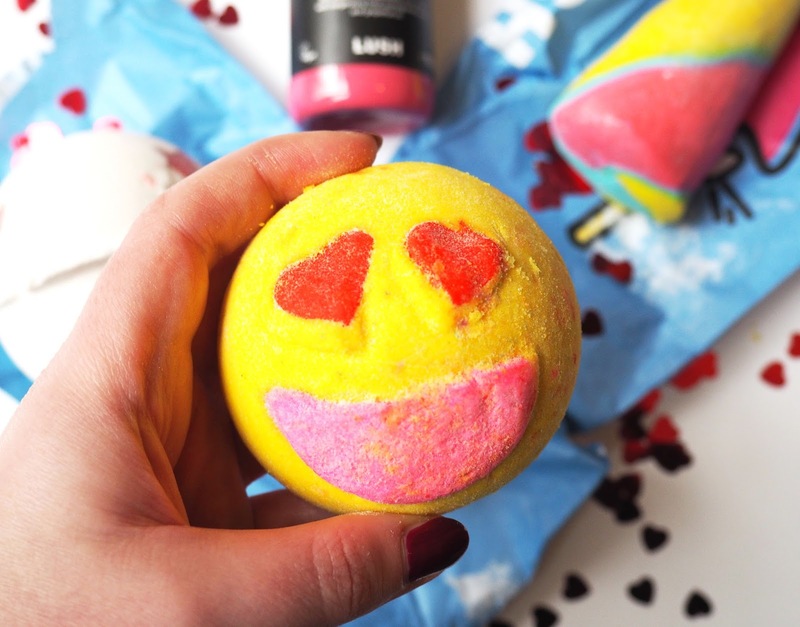 This one has a very zingy, citrus scent so it'll be nice and refreshing to use. Every gal needs a Prince Charming in their life don't they? 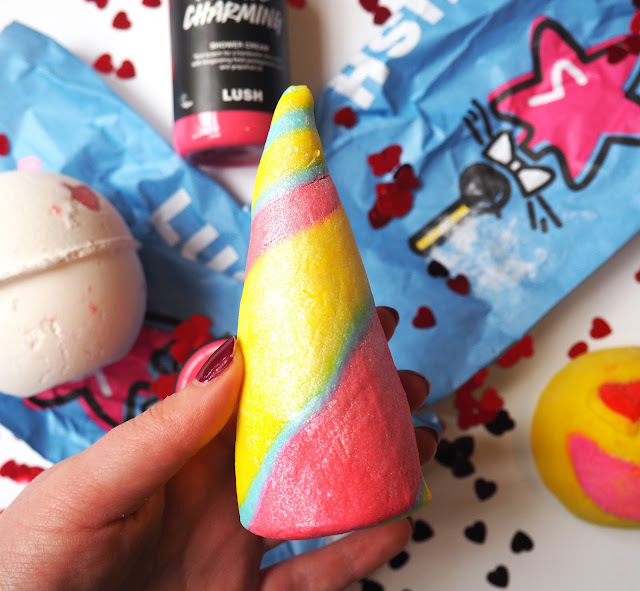 Well this one is in shower gel form! 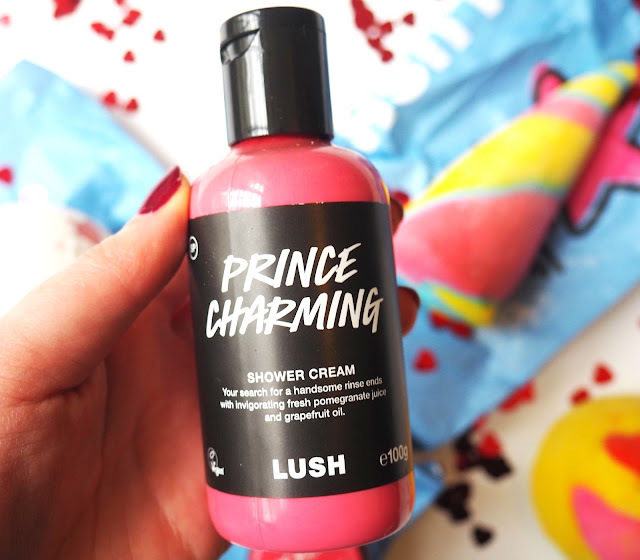 The Prince Charming Shower Cream has a very sweet scent and again it contains cocoa butter so this will be great for your skin. I got the small size bottle as they are so handy for when I'm travelling, plus my Snow Fairy from Christmas is nearly gone (sad times!). Have you treated yourself to anything from the Lush Valentines range?